The Wisconsin Farm Bureau Federation is the state’s largest general farm organization representing farms of different sizes, commodities and management styles. The organization is made up of voting members and associate members. Members belong to one of 61 county Farm Bureaus, run by a board of directors made up of people working in production agriculture. Farm Bureau prides itself on being a grassroots organization. Each year, county voting members set the policy that guides WFBF on local, state and national affairs. 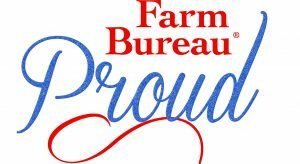 The Wisconsin Farm Bureau Federation (WFBF) is seeking applicants for the position of Director of Member Relations. Duties include serving as staff advisor to the WFBF Promotion & Education Committee and assisting with committee projects and programs; planning and conducting a variety of Farm Bureau meetings and events, including the FFA Farm Forum, Ag LEAD Summit, and other statewide conferences; assisting with volunteer and staff training functions; and providing staffing support to District Coordinators, including working closely with county Farm Bureau volunteers. This position is based at the WFBF headquarters in Madison, and requires regular in-state travel and occasional travel to out-of-state events. A company vehicle is provided.